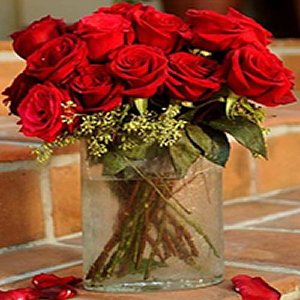 Romantic and dramatic, this lush grouping of red roses traditionally signifies love, respect, friendship or courage. Whatever it means to you, this bouquet is stunningly beautiful and appropriate for any occasion or setting. Approximately 16" tall.